Normally, I begin short stories with a clever line of dialogue or a dead body. My goal is to engage readers immediately. 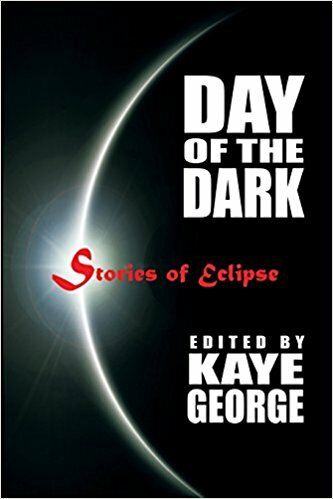 In Day of the Dark: Stories of Eclipse, the opening of my A Golden Eclipse short story is contrary to my normal style. It builds slowly in a manner parallel to the con revealed in the story. Another nice one, Debra! Thanks, Rachel, for doing these posts. It was a terrific thing for you to do at this time. Please, Rachel, let me know if you would like more copies of the book in exchange for your generosity here. RIP, Bonnie. Rachel, I’m so sorry for your loss. Bonnie was such a special person. Thank you for posting these final blog entries. And Debra – this is a fascinating start with great explanations of your reasoning. Debra, good explanation of how you developed the con. One of my favorite stories in the anthology. Rachel, thank you for continuing the blog. It’s one I look forward to every week. I am so looking forward to reading the stories in this anthology! Thanks, Kaye George, for organizing it, and thanks to the contributors who have participated here. Debra, your caper sounds terrific. Rachel, thank you for continuing this blog. You are your parents’ daughter. I am so glad to have known your mother and to know your family. Thank you for stopping by. It takes a big woman to follow in a mother’s gigantic footsteps and Rachel continuing the blog definitely did. I loved your story, Debra, and your post here about what you were trying to achieve reminded me a quite a bit of Roald Dahl and O’ Henry, who I think, proceed in a fashion similar to yours in the “Golden Eclipse.” Reading the final version and seeing the way you’d incorporated the feedback you’d received on your first draft was a tremendous learning experience as well. Rachel, thank you so much for taking the time to continue your mother’s blog. It’s not easy, I’m sure. Like many others, I’m a huge fan of Bonnie’s works. She will be deeply missed by her fellow Guppies. Kaye, thank you so much for offering to send copies of the book. That would be wonderful. Reading all the posts here have intrigued me and they all sound like fantastic stories. Debra, thank you for contributing to the blog. It would have meant a lot to my mom. Fran, Margaret, Paula, and Nupur, thank you so much for your kind words. I appreciate everyone’s support. Rachel, email me at kayegeorge at gmail dot com and I’ll get you supplied.